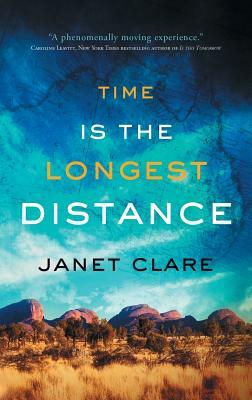 Set in the harsh desert of the Australian outback, Time Is the Longest Distance is a moral story of immorality in a place where "night comes on like a door slamming shut." Like a moon walker far from her life, Lilly becomes entangled in an unlikely love affair and witness to an unsavory death. The hard days and long nights provide time and space for Lilly to recall the years with her ex-husband, Stephen, artist and all-around drunk--the greatest love and disappointment in her life--forcing her to examine her own imperfections as she learns, first-hand, about the power and destruction of secrets, sexual taboos, and the thrill of transgression.